Included are the 28 linear border patterns from Studies in Design by Christopter Dresser (1834-1904). The plates were hand traced in Adobe Illustrator CS3 (as opposed to using Live Trace) and converted to pattern brushes that can be used with Illustrator CS and above (and possibly 8.0 and above). The colors are close to the original, though the plates were faded, thus colors are probably somewhat muted, compared to the original. These designs are representative of the Aesthetic through the early Art Deco styles. Botanical and fantastical animal forms dominate this collection–many are detailed and highly decorative. These brushes are customizable so experiment with different border combinations and colorways. The next series of vector reproductions is from Eugene Grasset’s Plants and Their Application to Ornament A Nineteenth-Century Design Primer which was published in 1897. Somewhat earlier than Christopher Dresser, Grasset was more of a contemporary of William Morris, Eugene Grasset was more famous in his time as a designer of French-style posters and magazine cover designs. Plants and Their Application to Ornament begins with a study of one of the garden plants from which stylized design variations are generated. 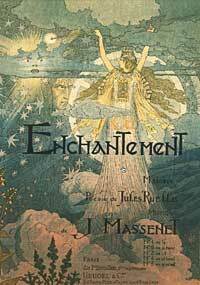 His designs are generally Art Nouveau or Art and Crafts style and quite archetypical of the period. 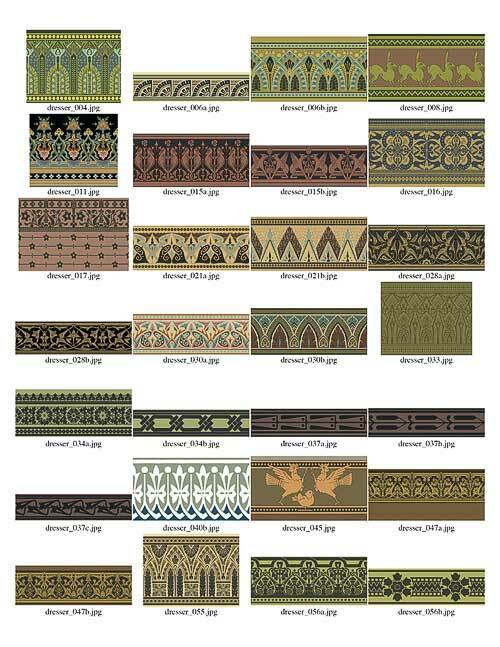 Some are representational of how these designs would be applied as decoration to different media (wallpaper, fabric, tiles, stained glass, carved wood, metal,porcelain) or as decorative patterns, borders, and motifs. They betray his background as a decorative materials designer before turning to illustration. All of the original plates were reproduced by a pochoir (literally ‘stencil’) print process, which was a precursor of silk screen printing. The originals are very graphic and lend themselves to vector illustration. As such, they can be used in period reproduction or adapted for contemporary design elements. Below is the first in an ambitious series. 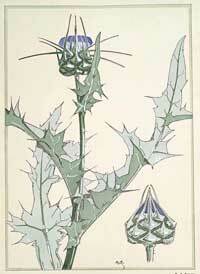 The collection will eventually grow to include design variations for 33 garden plants. View completed plates here. 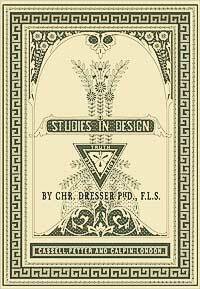 Though later than William Morris, Christopher Dresser pre-dated the Arts and Crafts movement (see comment, below) in England and was influential in the development of the industrial arts, his designs having been featured in the Crystal Palace Exhibition. His studies in the decorative arts were immensely popular in the period but are only recently coming back into favor with the resurgence of interest in the Arts and Crafts period. His background in botany is evident in many of his design motifs and that especially appeals to me (as a recovering botanist). Today we would categorize the body of his work variously as Arts and Crafts (though possibly not, as per comment), Art Deco, Japonaise or Aesthetic. He was a product of the Victorian design era but much too “renaissance” to be confined to the period, or to the culture of western Europe/North America. He studied the design traditions of Asia and the Middle East, influencing some of his own design. I have started a vector reproduction of Studies in Design with the intention of getting inside of Christopher Dresser’s head a bit. View completed plates here. These are “hand traced” in Adobe Illustrator and are faithful to the original design though repeating pattern designs have been more accurately registered to permit seamless repeat. There are 134 individual motifs. Dresser rendered most in color, and those colors have been used in the vector drawings, however there are several that Dresser only drew as outlines. I am anxious to try different color combinations.